Hundsun, a well known supplier of financial software and network services, announced on Weibo that Zhejiang Rongxin owned by Alibaba’s founder Jack Ma acquired Hengsheng Group with 3.299 billion yuan (USD 534.38 million) on April 3, 2014. Zhejiang Rongxin holds 20.62% of stake in Hundsun, becomes the largest shareholder. Hengsheng Group’s business includes banking, financial investment, construction material, real estate, communication and COSCO logistics. Hundsun mainly provides software solution and services for banks, security, insurance, property management, communication, e-commerce and fund management enterprises. Zhejiang Rongxin owned by Jack Ma also offers financial software and network services, including administrative support and risk management. Although Hundsun stressed that the acquiring firm is Zhejiang Rongxin. Even if Jack Ma is the president of Alibaba’s board, but Alibaba has no equity in Zhejiang Rongxin, therefore the acquisition has no business with Alibaba. Alibaba’s IPO in U.S. does not include its finance business. Jack Ma plans to divide Alibaba’s businesses into three parts, the first part includes Tmall, Juhuasuan, Taobao, etao, Alibaba B2B, SME and global wholesale business which will go public this time. The second part includes Alipay and Alifinance (the SME financing arm of Alibaba Group), and the third part includes Alibaba cloud computing. Jack Ma now controls Hundsun through Zhejiang Rongxin, apparently, he aims at developing Alifinance. 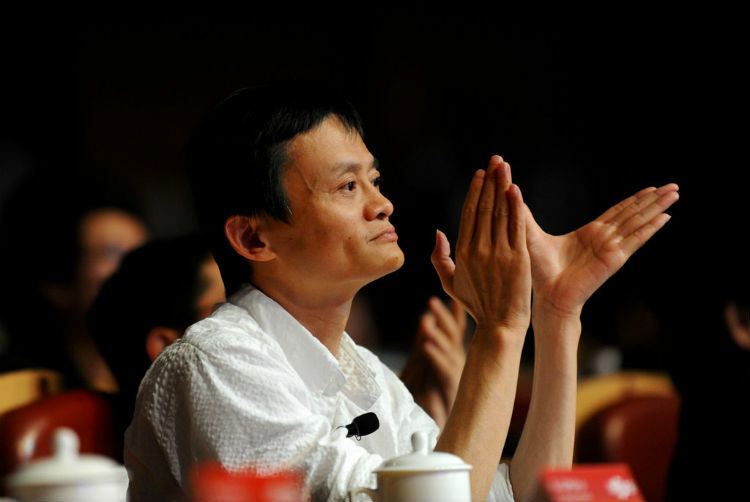 Alibaba has tried successfully at online finance businesses such as SME finance, Alipay, Yu’E Bao. The acquisition extends to traditional financial IT industry, making up for online finance.